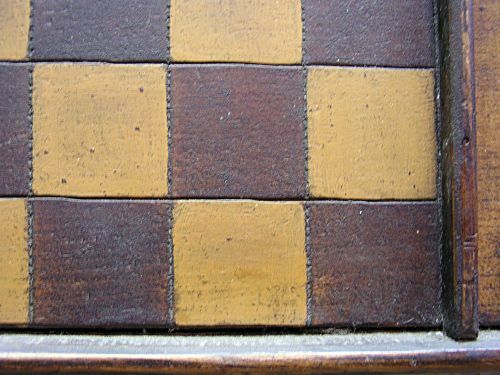 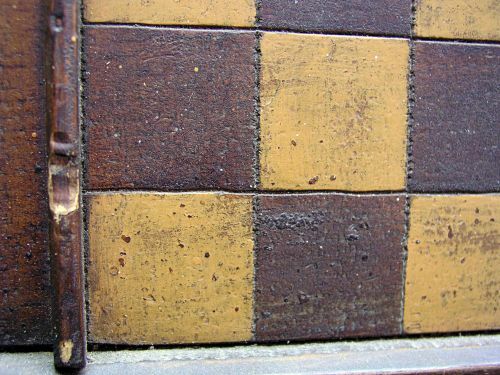 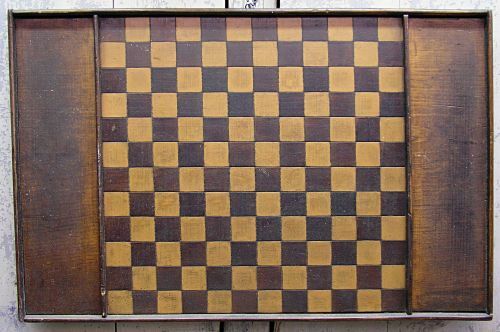 Gameboard with Mustard painted surface dating to around 1910 looking at the construction with screws holding ends to board. 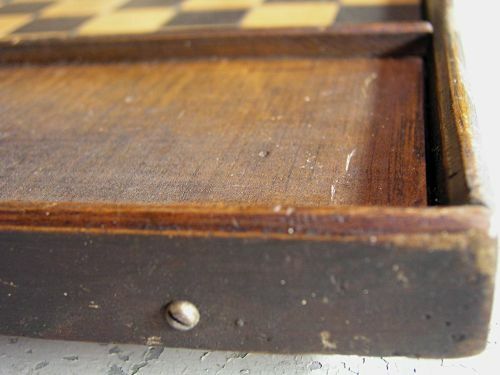 Great untouched surface with appropriate wear. 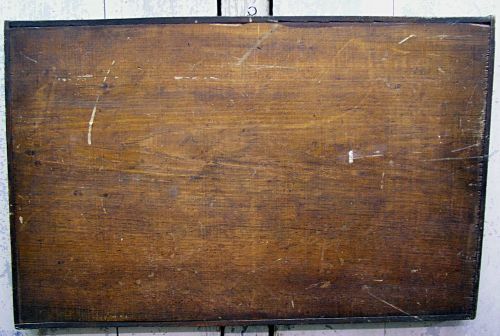 Dimensions: Measures 18 3/4" X 29 3/4"